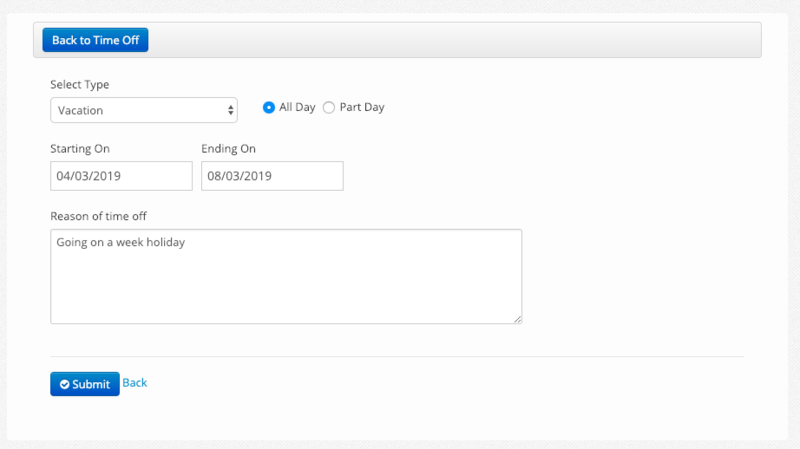 Employees can request time off through the Bizimply employee portal. When an employee now logs into Bizimply they will have a tab at the top of the page called Time Off. Within here they can view their current balance, hours taken and also a history of their time off requests whether they were approved or declined. There are 5 fields that will have to be filled out for the request to be submitted. The type of time off. And a reason for the time off. Once these details are given the request can be processed and then sent for approval.